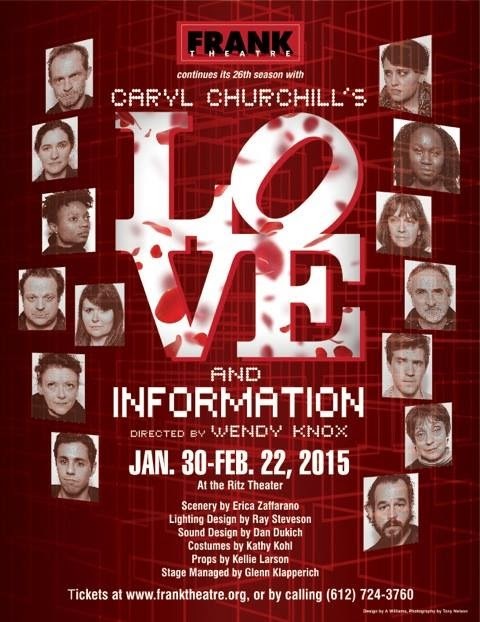 Since I caught the very last performance of Frank Theatre's Love and Information, I won't go in-depth about it. But I did want to give a little shout-out, because the show was great! Frank Theatre and director Wendy Knox have a strong record of choosing challenging plays to perform, and this one is particularly interesting. It's the latest play from Caryl Churchill (Cloud Nine, Top Girls, and many more), and just premiered at the Royal Court Theatre in London in 2012. In a short pre-show introduction, Knox informed us that the script for Love and Information, which includes 57 scenes in 90 minutes, does not include settings or stage directions, and the lines aren't assigned to any characters. Thus, each production will be different. Now that I've seen the show here, I've started to look at writeups of other productions. Apparently, the Royal Court production included scenes in a steam room and on exercise bikes. The same director, James Macdonald, staged the first New York production, and there's a nice story in the New York Times about the set design for that show. If you've seen Frank's show or not, it's an interesting piece to read about. And one more plug: this is the last show of Frank's season, but keep an eye out for their next season to be announced. They choose really interesting material and are definitely worth keeping an eye out for! We are so fortunate to have such an abundance of theater here in the Twin Cities that sometimes deciding which shows to squeeze into your calendar can be a struggle. Maybe it's a particular performer, or a play that's new to me that tips the scales towards a show. But there are a few theaters in the Twin Cities that I will go see whatever they put on, because I know that regardless of the play, it's going to be amazing. If I do nothing else with this blog but convince people to go see their work? Then my work is done. 1. Casting, casting, casting. I love the way Ten Thousand Things casts its plays. I love "non-traditional" casting--even though I wince using that term, I love a cast that is made of wonderful actors chosen for what they bring to the role, and not their ethnicity, age, size, or even their gender. 2. I love the way they put on a show. The first play I remember seeing at Ten Thousand Things was Ragtime, performed at the Minnesota Opera Center. It was the first time I experienced their lights on/in the round mode of performance. The play was incredibly moving, and it made it even more so to see other audience members being just as moved. I love watching people love theater. 3. Outreach through theater. I love that their mission is bringing theater to people who don't see a lot of theater. I love that they perform everywhere from correctional facilities to senior housing to libraries to transitional housing centers. And I love that they share insights from those performances at their public performances, and that they are not afraid to ask for money to continue their mission. And they appreciate it when they get it! 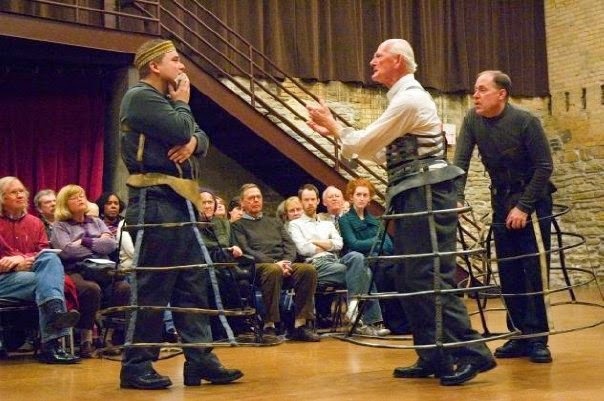 TTT's 2007 Richard III at the MN Opera Center. And that's how close the audience is for every show! 4. I love the spareness and versatility of their sets. Since they travel to perform, their sets are bare bones. Their music (by the wonderful Peter Vitale) is deceptively simple-sounding, but adds so much. Even the costumes are amazing. I'll never forget their marvelous production of Richard III with Craig Johnson changing characters and genders by donning a simple version of a metal hoop skirt. 5. I love that they are willing to take on new plays and do amazing jobs with older plays. Their Shakespeare should be required viewing for everyone. Their work has opened up a whole new world of Shakespeare's work to me, due to their innovative productions, including an all-female version of Twelfth Night the season after their all-male Richard III. In short, they are amazing. And so is The Unsinkable Molly Brown. Maggie Chestovich gives a full-out, full-hearted performance that must leave her bruised and emotionally spent at the end of the show. As Johnny Brown, Tyson Forbes (new to TTT, as far as I know), is a towering presence who happens to have an amazing voice, ripe for singing love songs. As much as I love TTT, I've never seen chemistry like this on their stage before. It's almost electric! And of course, H. Adam Harris, Max Wojtanowicz, Kimberly Richardson, George Keller, Eric Sharp, and Austene Van made the most of a variety of roles to fill out this musical. Harris and Wojtanowicz in particular added lots of laughs with their hilarious comments on the main action. Fabulous, sweet, funny, charming, hopeful, romantic ... as usual, I leave Ten Thousand Things inspired to see more theater and feeling so fortunate to live here in the Twin Cities, where we have so much marvelous theater. If you're a fan of TTT, you should know that Artistic Director Michelle Hensley, who has taken this innovative theater process to theaters around the country (and directed Molly Brown), has now written a book. All the Lights On: Reimagining Theater with Ten Thousand Things is published by the Minnesota Historical Society Press in association with HowlRound Press, and is available now on the TTT website. I know what I'm asking for on my next birthday! I've been intrigued by the play By The Way, Meet Vera Stark since it was performed at Second Stage Theater in NYC in 2011 (featuring Sanaa Lathan as Vera), so I was looking forward to seeing the production at Penumbra Theatre this season, especially with some wonderful performers cast in it. The first act takes us to Hollywood in 1933 and Vera Stark (Crystal Fox), a black actress who divides her time between working as a maid for white actress Gloria Mitchell (Norah Long) and working on her own career--mostly playing maids. Greta Oglesby plays Lottie, Vera's good friend and a former vaudeville star who has been eating her way into the right size to play the "Mammy" roles that are available to her. I could watch Crystal Fox, Greta Oglesby, and Jamila Anderson give each other side eye for HOURS. Particularly in the gorgeous costumes by Mathew LeFebvre--and some super-cute shoes. The period wigs by Andrea Moriarity are just perfect as well. The machinations of these actresses vying for roles in a high-profile studio film are fun and funny, even as they expose the indignities of their profession. The second act feels a bit less effective, unfortunately. Set in 2003 at at academic conference about the legacy of Vera Stark, it also includes scenes from a 1973 television interview that Stark did just before disappearing from public view. Playwright Lynn Nottage mocks academic pretensions, but brings up more questions than answers about the meaning of Stark's career. Fortunately, a closing scene takes us back to 1933 with Vera and Gloria on the set of the film, and reminds us of the characters and presents a bit of intrigue about their relationship in their heyday. Above all else, this play left me wanting to know more about the African-American experience in early Hollywood. Particularly in a year like this, in which nonwhite actors were shut out completely at the Oscars, it's interesting to take a look back at what things were like in the early days. I think I'll start with Donald Bogle's Bright Boulevards, Bold Dreams: The Story of Black Hollywood and then perhaps Hattie McDaniel: Black Ambition, White Hollywood by Jill Watts. Any play that makes me want to learn more about the subject is a huge success for me. I will admit to being a teensy bit apprehensive about spending Valentine's Day evening at an intense play about dictatorship and torture and revenge. 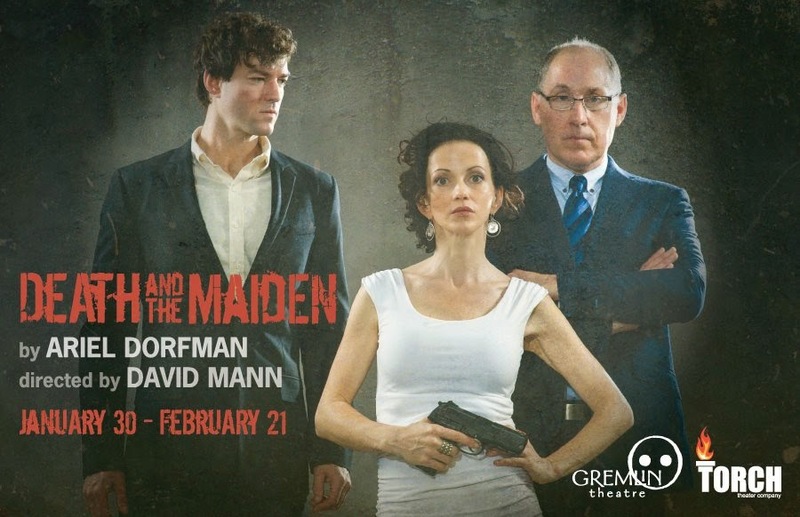 But despite the tough subject matter, the Torch Theater/Gremlin Theatre production of Death and the Maiden at the Minneapolis Theatre Garage is a highly entertaining evening. Honestly, I didn't know much about the play going in. I would see just about anything that featured these three performers. Peter Christian Hansen and Stacia Rice have done impressive work with their respective theaters (Gremlin and Torch) as well as on other stages around the Twin Cities. And Craig Johnson has played on many of the area's smaller stages, always impressively. As directed by David Mann, these performers make the most of this tension-filled play. The story takes place in an unnamed country emerging from years of dictatorship. Gerardo, a lawyer, has car trouble and gets a lift from a friendly stranger. But when Dr. Miranda comes back, Gerardo's wife, Paulina, is sure she recognizes the voice of the man who tortured her 15 years earlier. The scenes that follow are a power struggle between the three. It's intense stuff, but riveting. At an hour and 45 minutes, the two acts seem to go by much faster. Michael Hoover's set design, beautifully lit by Paul Epton, grounds the play in reality, aided by C. Andrew Mayer's sound design and costumes by Andrea Gross. This is just a wonderful production of a really interesting play, and a great chance to see three terrific actors doing great work. See it if you can! Sometimes scheduling gets the best of us, and we don't make it to a show until it's almost too late! This week, we saw two that were definitely worth catching. 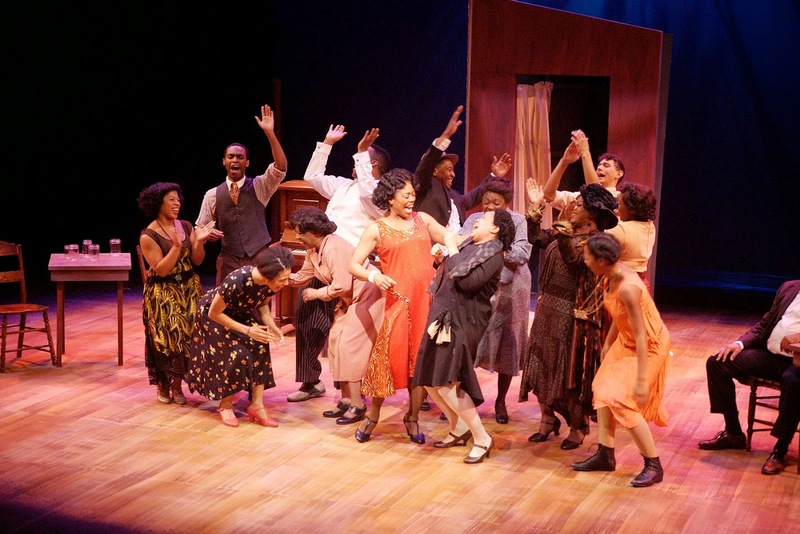 The Color Purple at Park Square Theatre is a wonderful showcase for some of the Twin Cities' most talented performers of color. Particularly notable are Aimee K. Bryant as Celie, T. Mychael Rambo as Mister, Regina Marie Williams as Shug, and Darius Dotch as Harpo. They are surrounded by a wonderful cast of singing actors, including Thomasina Petrus, Dennis Spears, Jamecia Bennett and Ginger Commodore. The stage is quite bare except for one hard-working set piece, but the gorgeous costumes (by Trevor D. Bowen) work overtime to set the time, place, situation, and even age of the characters. The whole charismatic cast does the rest, with support from a small orchestra hidden at the back of the stage. I didn't think the script or music rose above workmanlike, but I couldn't help getting emotional about the characters and their journeys. Seeing so many wonderful performers I've loved in previous shows made this show a joy to behold. Unfortunately, I just checked Park Square's website, and it says they're sold out for the run, which ends Sunday (February 15). Bummer for those who didn't see it, but good for Park Square for branching out with a big musical! 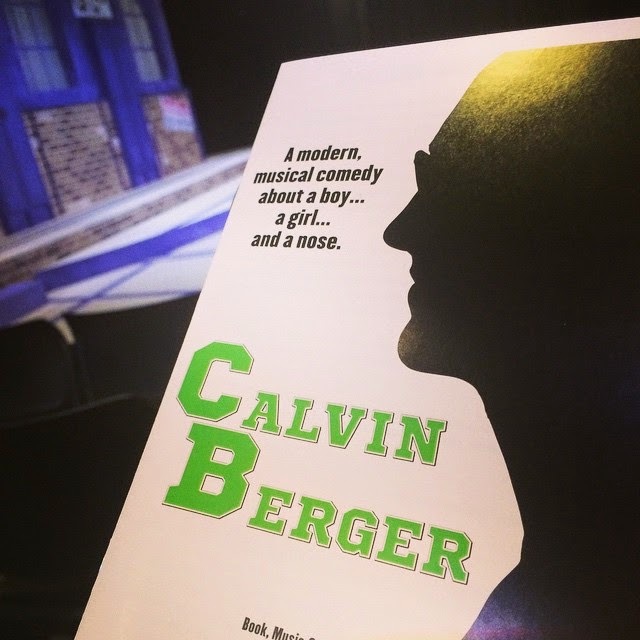 Tickets are still available for Calvin Berger, put on by Minneapolis Musical Theatre at the New Century Theatre in Minneapolis. You've probably never heard of this show, which is kind of the point of what MMT does. They present smaller-scale musicals that don't otherwise get performed on Twin Cities stages. Calvin Berger follow's last fall's Eating Raoul as a quirky, fun musical performed with verve and lots of humor by a small cast. The story is familiar; It's inspired by Cyrano de Bergerac, but set in a contemporary high school. Here, Cyrano becomes Calvin Berger, a high school dork with a reputation for being smart, but a major complex about his (slightly) outsized nose. He adores "cool girl" Rosanna from afar, but doesn't think he stands a chance until he joins forces a new student, the hunky but rather dim Matt. Meanwhile, Calvin's best friend Bret is hoping he'll finally notice her. Gregory Adam as Calvin, considering the merits of a removable nose. The cast is only four people, but the show never feels underpopulated and the four performers all bring their A-games. Gregory Adam, who was wonderful in Eating Raoul, plays Calvin as a sensitive and endearingly awkward guy who has a way with words. As his bestie, Bret, Kecia Rehkamp gives us a snarky girl with her own body-image issues and a quirky sense of style. Logan Greene is perfectly cast as the hunk, and Emily Madigan's Rosanna is the picture of a girl known more for her looks than her brains. The play moves along briskly, with clever songs showing each character's insecurities and strengths, and clearly defining their roles and relationships. The actors are uniformly great at singing and acting the piece, while finding all of the humor in the slightly cheeky script. The simple set sets the band behind a set of windows, which makes the music seem less distant than it can be from a totally hidden band. Of special note are the costumes, which perfectly place each character in his or her place in the school, and were created by Lori Maxwell, who does double duty as music director. Overall, this is a truly enjoyable evening of theater and deserves to be seen by a larger audience, though our audience Friday night was very appreciative. There are two more chances to see the show: Saturday, February 14 at 7:30 (a great date-night show!) and Sunday, February 15 at 2:30 pm. What can I say about a show that makes even a jaded theatergoer (like myself) cry? I've been really struggling with how to write about These Old Shoes by Transatlantic Love Affair, currently running at Illusion Theater (now thru Valentine's Day). I mean, clearly, you should see it. But how do I talk about it without ruining the mystery and charm of Transatlantic Love Affair's work? As for me, I went into this show totally blind. I'd heard how amazing their past productions were, especially last year's Ash Land, and resolved not to miss another of their productions. Surrounded by moving boxes and a grandfather clock, an old man is learning to say goodbye as the time approaches to leave his life-long home for a "retirement community." Brimming with humor and heart, this story of second chances follows the bread crumb trail of memory in hopes of finding something that was once lost. 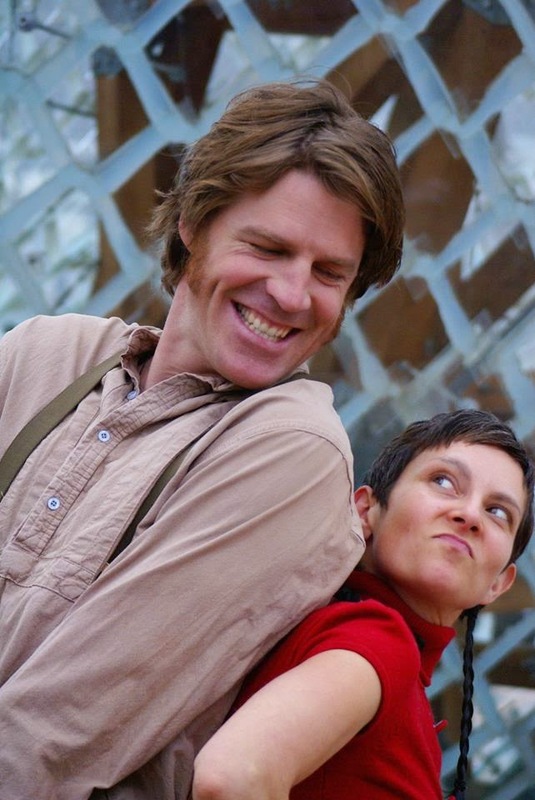 Transatlantic Love Affair is a physical theatre ensemble specializing in collaboratively created original work and theatrical storytelling. So, in short, this is a play about Jim, who is leaving his home and moving into a retirement home after the death of his wife, with the help of his granddaughter. 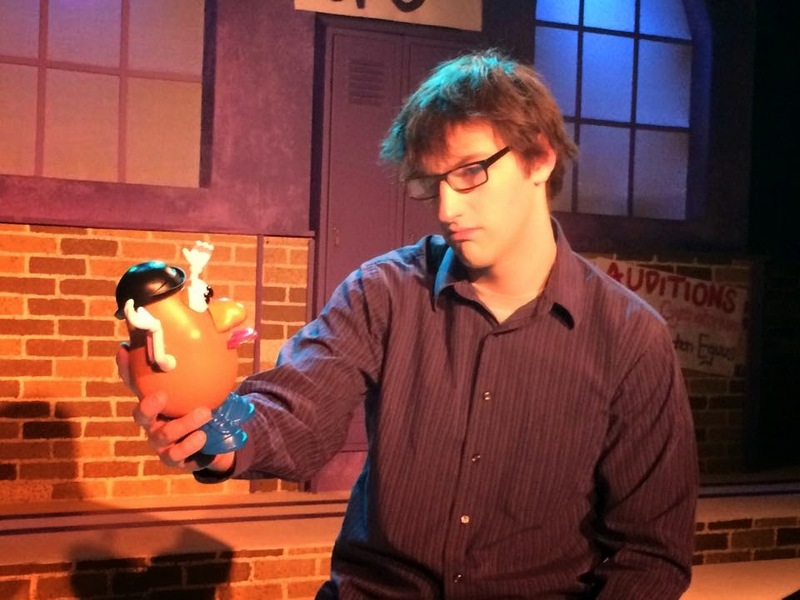 The play goes back and forth through time from Jim's youth to the present day, and also explores the lives (present and past) of his soon-to-be neighbors in the home. It's performed through spare, ingenious, movement-based storytelling, accompanied by also spare, but nearly perfect music by Dustin Tessier. I hate to say more except that I have hardly ever been so emotionally touched by a show. This show spoke to me so personally, and yet, with its themes of aging, it's amazingly universal. It's a warm, respectful, and heartfelt look at aging, and a marvelously romantic exploration of love lost and found. This is a show that spoke directly to my heart and I know that it's a show that I will never forget. Just to be sure, though? I'm seeing it again. I wish I could say more, to describe the grace notes in the performances, the transitions, the beauty in their work, but I hate to spoil anyone's first viewing. All I can say is that now that I have found this theater company, I will not make the mistake of missing any of their productions again. Join me! Go see this show! Here's the scoop on the remaining shows. If you can catch a talkback, I highly recommend it. Their process is really fascinating!